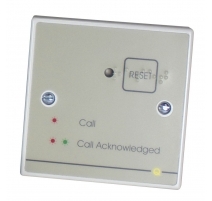 A programmable Quantec addressable call point. Includes a Call button, Reset button and red/green confidence light. Can make up to 5 levels of call - Standard, Ensuite, Help Required, Emergency, Presence & Attendance (dependent on configuration and ancillary devices used). 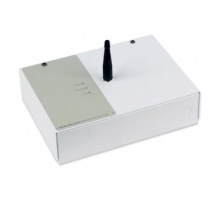 Attack and Attendance calls can also be made if connected to compatible slave infrared receiver. Can be programmed to operate in a multitude of ways using a QT423 configurator. Connections provided for additional slave devices such as ceiling pulls, overdoor lights, slave infrared receivers and more. QT609M magnetic reset version also available. 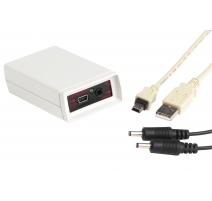 Power requirements Nominal 24V DC (from Quantec Controller/Network). Quiescent current Less than 3mA. Controls Call button; Reset button. 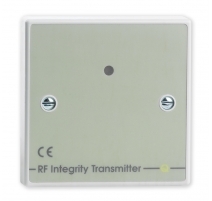 (QT609M magnetic reset version also available). Connections Net +: Net -; R; G; L+; SW; IR; SLV. Expansion connections R; G; L+; SW; IR & SLV terminals allow the connection of optional slave overdoor lights, slave call points, slave ceiling pulls and slave infrared receivers. Product dimensions (mm) 86 W x 86 H x 23 D mm. Can be mounted on a standard UK 25mm single gang flush or surface back box.